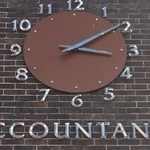 CANALITIX ACCOUNTANTS are highly qualified and licensed accountants, bookkeepers and tax advisors based in London SE1. We use cloud accounting and tax software to deliver a fast and efficient service to clients. Our standard monthly and one-off fee packages are attached.